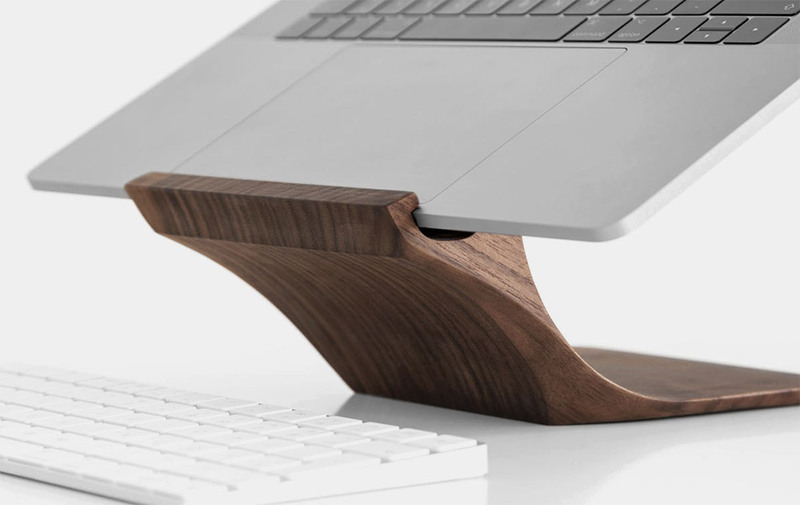 Meticulously crafted in Northern Italy from sustainably grown wood, Yohann's Macbook Pro Stand is an elegant and classy solution for your MacBook Pro. Its design keeps your laptop elevated at the perfect height and makes it the center of attention. This setup adds some style to your desktop. Just prop your MacBook up on top, do your work and when you are done, close the lid, tip the stand down and slide it back so that it is ready for the next time. The whole experience is a streamlined way of using your laptop that will make you feel good. Classic and useful, just the way we like it.